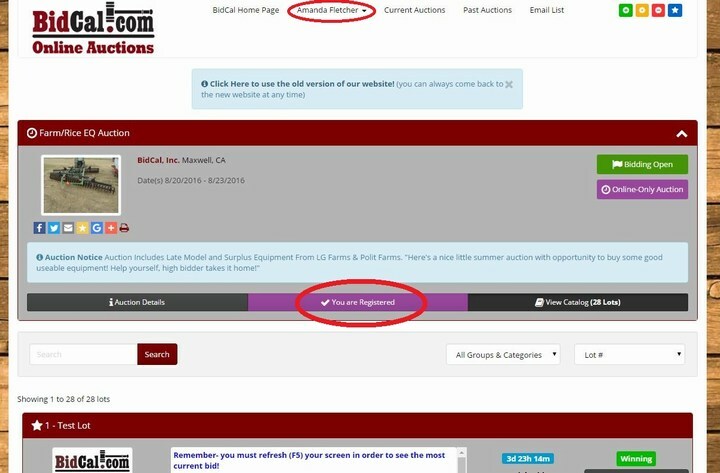 How To Register - BidCal, Inc.
2. 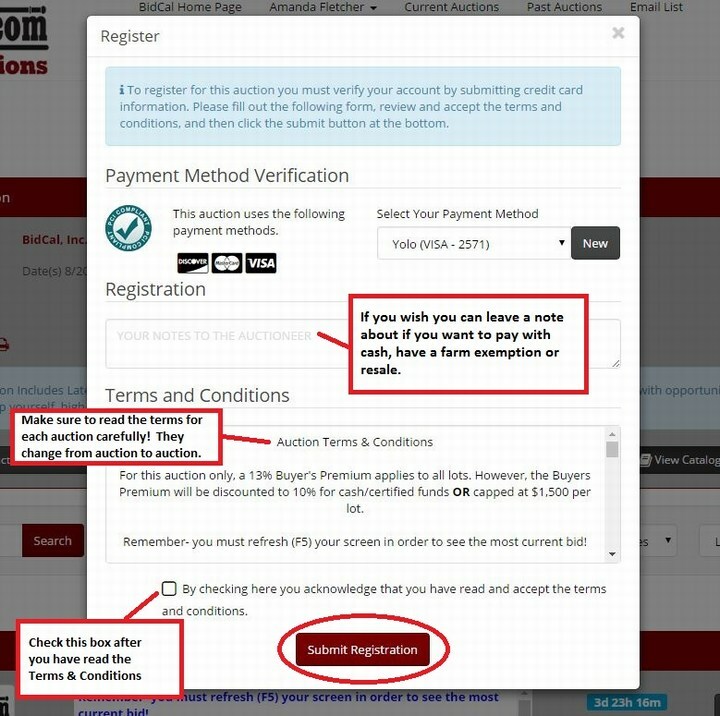 Once on the bidding site click the "Register to Bid" button towards the top of the page. 3. 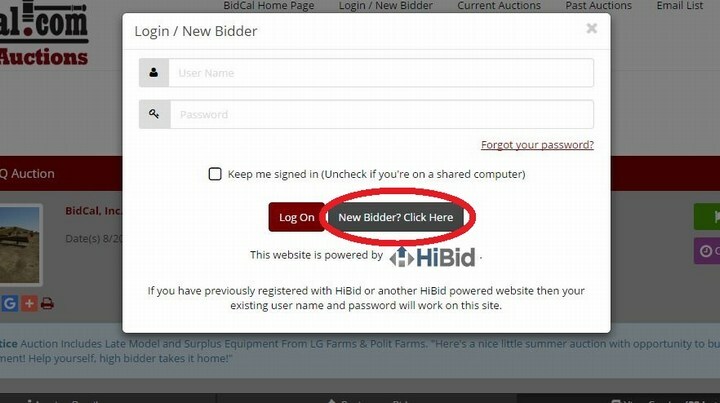 If you are a new bidder click the "New Bidder? Click Here" Button. 4. 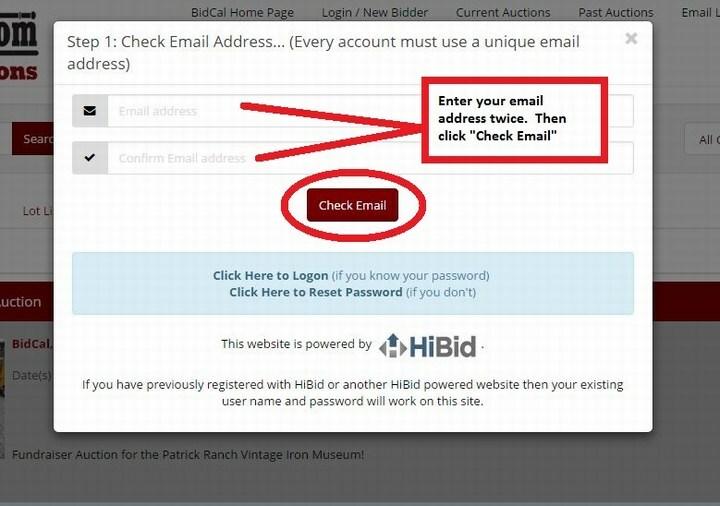 Type in your email address twice, then click the "Check Email" Button. 5. Fill out the registration page. 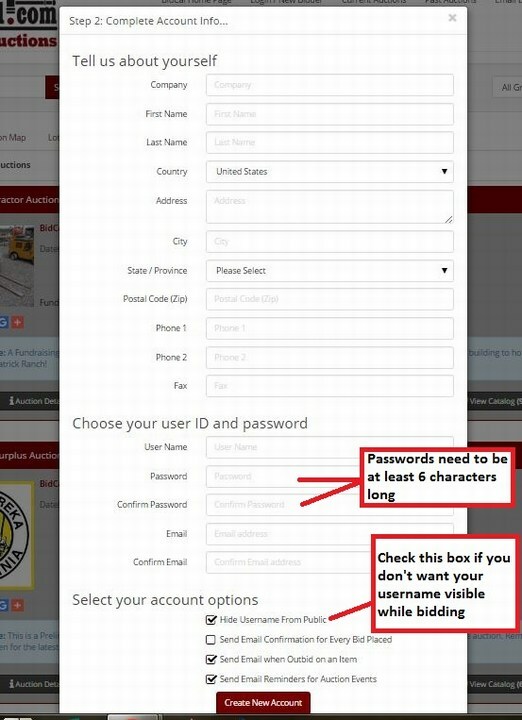 Once you are sure all the information is correct click the "Create New Account" Button. 6. You will see the following pop up window. Click OK. You have now successfully created an account with our site. 7 Now you will be taken to our current auctions page. 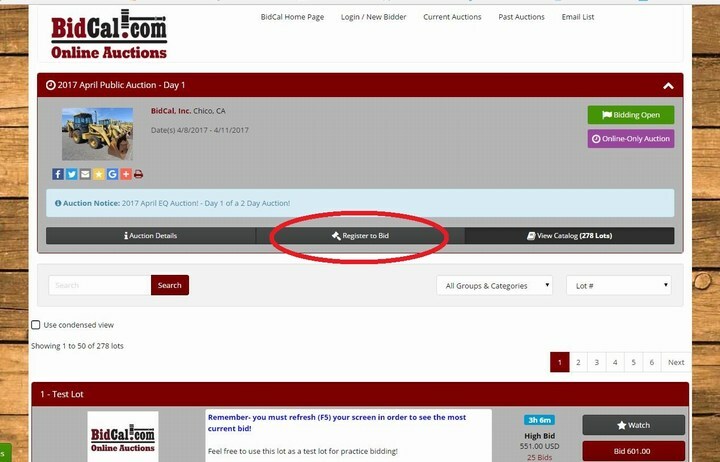 Locate the auction you want to bid on and click the "Register to Bid" Button..
8. A new pop up window will appear. 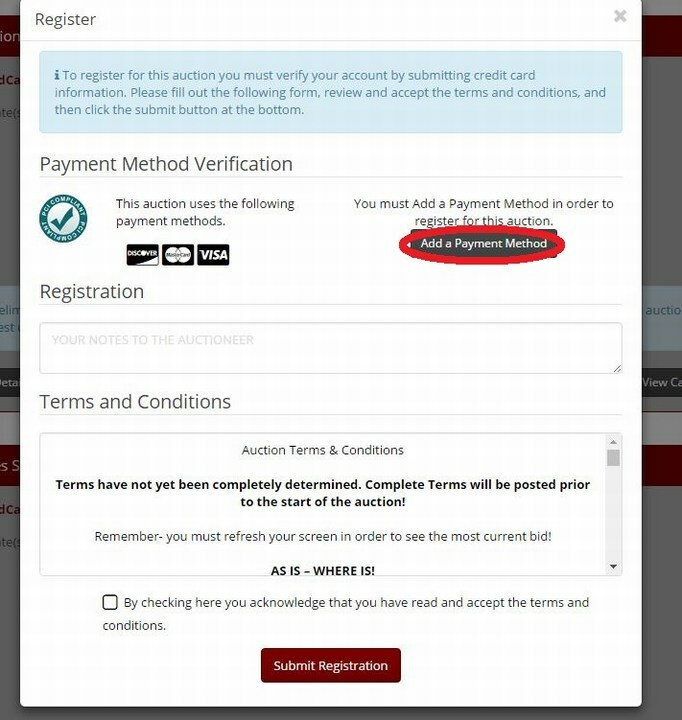 Click on the "Add a Payment Method" Button. 9. Add in your Credit Card information. Then press "Save & Return to Registration"
10. Select the credit card you want to use. Leave a note to the auctioneer if you desire, review the terms & conditions. 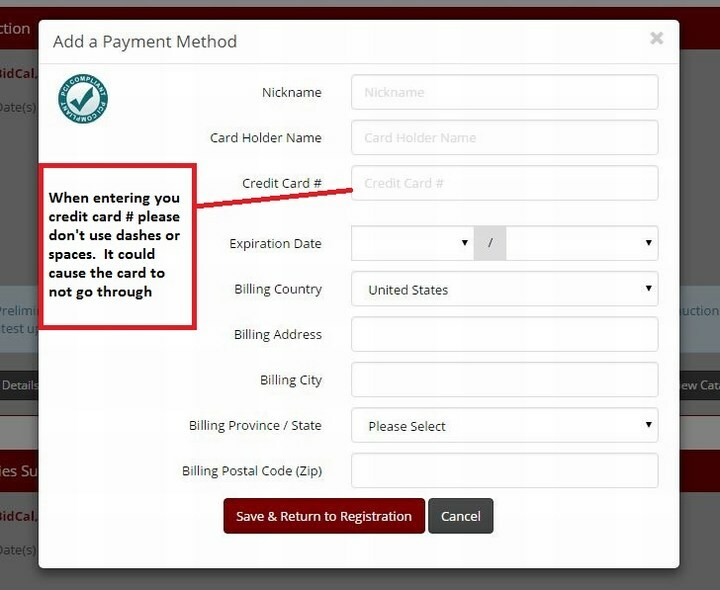 Then check that you have read the terms & press submit registration. 11. 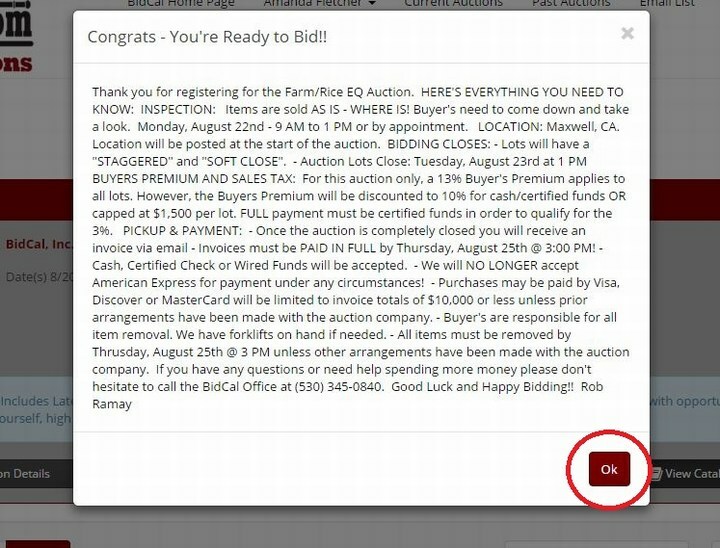 You will then get a pop up that says you have successfully registered for this auction. Click ok.
12. 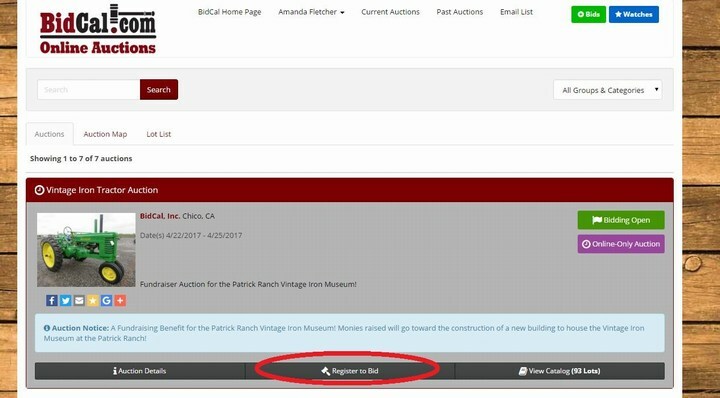 To get back to the auction lots click the "View Catalog" Button on the auction you want to bid on. 13. 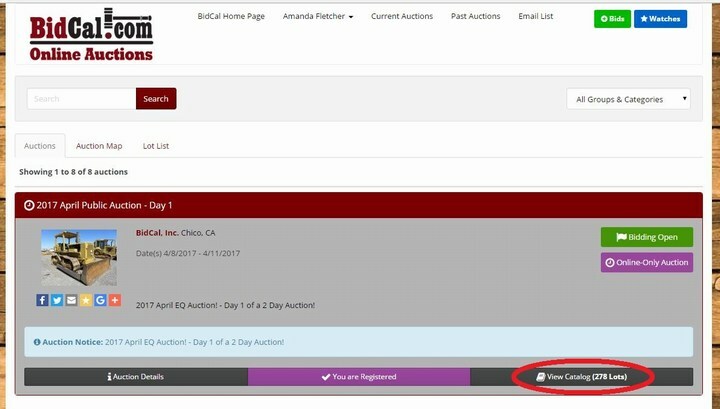 Once you get back to the bidding page as long as you see your name at the top and "You are Registered" you are all set to Bid. Happy Bidding!